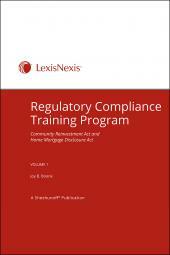 Written by Joy B. Boone, this comprehensive resource provides clear and easy to follow compliance guidance, including coverage of all the regulations in a practical format, detailed coverage of each regulation's purpose, requirements, exemptions, and liabilities for noncompliance; compliance responsibilities by function; compliance checklists; audit procedures; training guidelines; and sample forms and reports. 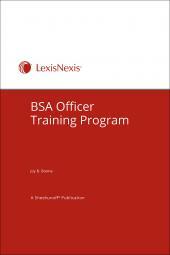 It's an essential resource for compliance officers. Keeping up with ongoing compliance changes and ensuring your programs remain effective can leave you little time for anything else. Plus, you need to be sure that every employee knows what to do to help the bank stay in compliance. 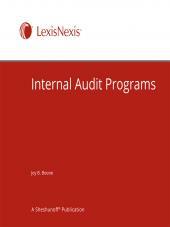 This manual has the information and answers on current compliance issues you’ll be looking for. You get an overview of everything, from the compliance officer’s role to running a compliance training program, and the emphasis is on implementation, so we don’t just give you the rules, we tell you how to comply with them. In clear, easy-to-follow steps, we show you what to do so that anyone on your staff can understand how to keep your bank in compliance. It’s the easiest, most efficient way to develop and maintain an effective compliance program and train your staff to do things right. Joy B. Boone is a bank compliance professional, specializing in compliance program management. She has held the positions of Senior Vice President and Director of Compliance for four regional financial institutions and was an owner of Braasch and Blackstock, a bank compliance consulting firm. Mrs. Boone teaches in the business department of LCC International University in Klaipeda, Lithuania.